The Leadership Climate Indicator (LCI) is an organisational survey tool that measures the tone set by leaders within an organisation. The Leadership Climate Indicator is completed by employees who assess the climate created by individual line managers, as well as the climate created by groups of leaders such as senior leadership teams. 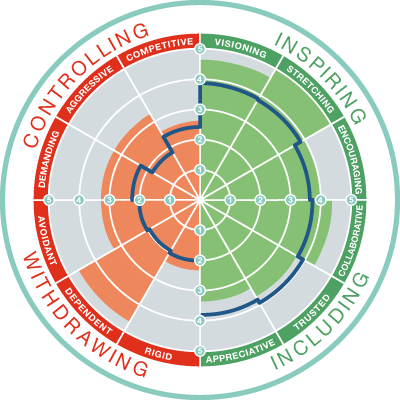 It provides a snapshot diagnosis of how the current leadership climate is perceived and experienced by employees. Comparisons across teams and functions enable the identification of leadership behaviours that are either contributing to, or hindering high performance. The Leadership Climate Accreditation is a one-day course that allows practitioners to understand and interpret the climate that prevails within an organisation. This interactive course provides an understanding of the theory and background to leadership climate, opportunities to practise interpreting the reports, and insights into how to successfully implement an LCI survey across an organisation. Attendance at the workshop will certify you to use JCA Global’s Leadership Climate Survey and 360 products. This set of resources and materials will help you to quickly and easily deploy the LCI as part of organisational change programmes, including a facilitated workshop to feed back climate survey results to senior teams, and work with them as they start to create a climate for success. Knowledge, skills and confidence to implement the Leadership Climate Indicator Survey within organisations. Understanding of how to use the LCI 360 to support individual leaders with their development. Increased self-awareness and the ability to develop your own leadership climate. Provides accreditation in Leadership Climate Indicator (LCI) Survey and Leadership Climate Indicator (LCI) 360 tool.